This Saturday we had the pleasure to assist to the VIDES European seminar “Volunteering changes the reality or the reality changes volunteering? An open horizon.” together with several Salesian representatives from all over the world and VIDES ex-volunteers. The speakers were Guido Barbera, president of VIDES International, Eugenio Melandri, Italian activist and politician, European parliamentarian, Co-founder of different associations and director of the magazine ”Solidarietá Internazionale”, Fabio Attard, Salesian’s international responsible of Youth Ministry, Sr. MariaGrazia Caputo, founder of VIDES and main representative to the UN at the IIMA Human Rigths Office in Geneva, Sr. Runita Borja, Councilor for Youth Ministry and four VIDES ex-volunteers. 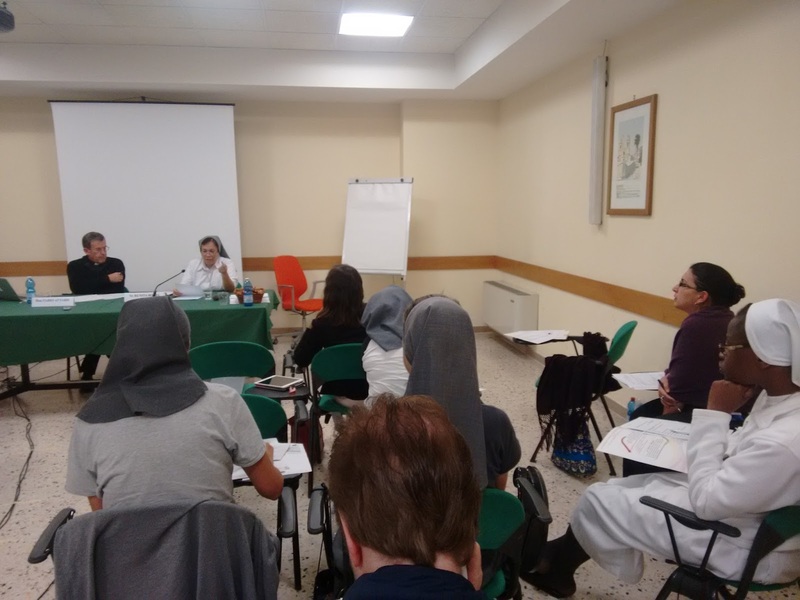 Under the thematic “In which world am I living?” Guido Barbera and Sr. MariaGrazia Caputo opened the seminar. Mr. Barbera strongly criticized modern society and the absence of an active civil society fighting for its fundamental rights. In the same way, he criticized governments who talk about migrants and poverty but do nothing to address these issues. In fact, only 12% of the European countries consider poverty and civil society activities as a priority to invest in. Sr. MariaGrazia explained how the people who lead the world handle these problems. She stressed the great importance of the participation of the NGOs in the Human Rights Council because they are the ones who speak for those who are not being heard by governments and who address many fundamental issues that otherwise would remain unnoticed. To introduce the thematic “Which kind of volunteering do we have in this world?” Eugenio Melandri said that the four most important verbs in volunteering are: see, listen, know and act. First, nowadays thanks to social media, we are reached by many images and news from all across the world. For this reason, we should allow ourselves to be touched, to not remain indifferent but to read with critical eyes the information we receive. Second, we need to enter the communities and listen to the victims and consequences of what is happening in the world. It is necessary to change our way of listening, we need to see eye to eye with the people affected. Finally, Eugenio spoke about two different types of volunteering: functional volunteering, which plays according to the rules of the donors without really helping and/or empowering people and real volunteering, which helps people understand and be aware of their situation in order to be able to claim their rights. 1. “When a leaf falls into the river even if it might not seem like that, it changes the course of the river”: Successful volunteering is the one that through educating and proposing good life styles in the present changes the future. 2. “We live in a Kafka castle, we can move freely inside it but we don’t have open windows or the possibility to leave it”: Good volunteering is the one that opens the windows of the castle to see what is outside and bring it into the castle. Doing this it helps other people to be aware on what is happening outside their reality. 3. We need to create a “hope movement” for the world to see that we are not working and struggling alone but that there are others who are hoping as we are and working in the same direction. In the early afternoon, before listening to the next speakers, we had the pleasure to hear the testimony of some former volunteers about their experiences in different VIDES missions. Regardless of their specific work, all volunteers agreed on the fact that their experience changed them and their way to act in the society and to see the world around them completely: it was a lesson for life. They rediscovered fundamental values our modern society has already lost, they entered the doors of a new culture and became an active part of it. The seminar continued with two last speeches. Fabio Attard discussed the topic “Is there space in this world for our youth?”. At the beginning, he described our “fluid” society, where everything changes fast and people, especially the youth, are losing their values and their role models. For this reason, the aim of religious communities and volunteering associations is to be a solid role model for the youth, hearing their needs, helping them find their place in this world and showing them that they are loved. In fact, It is just when they are heard that they start listening. Sr. Runita discussed “The presence of VIDES in the FMA youth ministry”. She reaffirmed the importance of the education to solidarity, gratefulness, justice and peace as a fundamental part of the youth ministry. Furthermore she gave VIDES some advices to continue its work in the youth ministry: Reaffirm the kindness that exist in every youth’s heart, show the importance of being open to Gods message, construct a healthy humanity, persons of God that serve others, for life and peace, learn and grow together, share our mission and promote and enhance vocational life. 1) Volunteering does change reality but also reality changes volunteering and in both cases, it should always be in a positive way. 2) Volunteering needs to open the world’s eyes to the different situations and realities of our world. 3) Volunteering gives the possibility to everybody to become and active citizen of their community, transforming it into a community of people and values.